A one and a half hour journey on the old Ankara-Istanbul highway takes you to a hill towards the İnözü Valley where Ankara’s Beypazari district is located. The town is divided into two settlement areas, the old and the new. The older sections of the town are situated in the northern part of the old İstanbul highway, along the deep slopes of the mountains and in valleys while the new section is situated on the plains to the south of the old highway. The marketplace (Çarşı) and the neigbourhoods in the town are traditional and the houses and shops display old Turkish architecture. The shops, which are generally one storey high, are used as workshops where coppersmiths, silversmiths and bronzesmiths work metals into beautiful artifacts. There are also carpenters` and shoemakers` shops here. The streets are narrow, mostly 3 to 6 meters wide and are lined with houses and garden walls on both sides. The houses, which are usually 3-storey high, were built with the same materials as other traditional Turkish houses. The ground floor is faced with flat stones. Stables, sheds, store-rooms, and pantries are usually on the ground floor. Just above the ground floor there are cupboards and a kitchen used in the winter. The upper floors are the most frequently used areas. 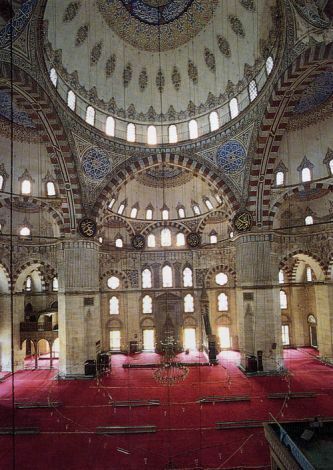 In the outer, inner or middle areas, there is the Turkish “sofa” (hall anteroom). The bedrooms, toilets and kitchens are situated around the sofa. There are also the “haremlik (quarters for women) and selamlık(quarters for men) on the second floor. According to the Beypazarı custom, an architectural element on the upper floors of these houses is left incomplete during the owner’s lifetime. These elements are called “Çanti” or “Çandı” in the local dialect. These features are finished when needed. Beypazarı houses have a sofa on the middle floor which sometimes opens out to a balcony. The middle floors have large, arched windows which allow light to enter. The old streets and market place in Beypazarı reflect a typical Turkish town.